The story is in the numbers, the proof in the totals, the truth in the statistics; the status of education here delivered in a 1,223 word statement to parliament by the education minister, Petter Saint-Jean, in March. 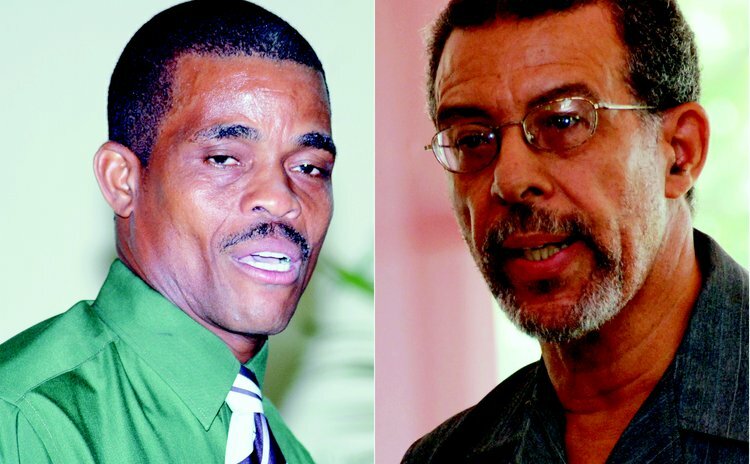 The minister used the numbers to assure fellow MPs - and by extension, the country – that "the educational and human resource development landscape" of the country had been transformed during the reign of the Dominica Labour Party (DLP). Between 2001 and 2011, Saint-Jean said, the number of Dominicans receiving post-secondary certification climbed 28.5 per cent (or just under three per cent a year) from 4,958 to 6,370. "It is a significant improvement," the minister boasted, adding that the numbers vindicated the efforts of government and other stakeholders to increase access to secondary education. "These efforts have come in the form of various policies and programmes that are as innovative as they are far-reaching," he explained, listing universal access to secondary education, school transfer grants and uniform grants among them. However, according to the former education official, Arundel Thomas, the numbers don't always tell the story. Regarding universal secondary access, for example, Thomas has suggested that the system as it is currently run, generates quantity but not quality graduates. He told The Sun that even at this late stage, the government should return to a plan prepared between 1999 and 2005 that contained "some key policy objectives". "The plan was supposed to be a framework to guide education in Dominica," the former assistant chief education officer told The Sun. "I'm not sure if they are still looking at the plan and using this plan to prepare strategies for improvement of education." Some of the critical recommendations of the plan, he explained, included minimum requirements for the hiring of teachers, improvements to the learning environment and the formation of school advisory boards "to empower the staff and principals". "If the minister of education takes this plan seriously, it will not solve every problem but it will go a long way towards improving education," Thomas said. The education plan is based on the 1997 Education Act, developed in collaboration with the rest of the OECS. This Act requires the minister to table before parliament, an annual report on the state of education "within twelve months of the end of the school year for which the report is made". The former education minister, Ron Green, who is challenging Saint-Jean for the Laplaine seat, complained that the minister has not been complying with this requirement of the law and that a mere statement wasn't good enough. "We haven't seen this (the annual report) for the last three years. What we last had was a statement to parliament from the minister and that's a poor substitute. It's not a substitute at all," Green told The Sun. In his statement, the minister also revealed a 972 per cent rise in the number of Dominicans who attained associate degrees between 2001 and 2011, the numbers jumping from 207 to 2,220. "This dramatic increase is the clear and unmistakable result of the establishment of the Dominica State College in 2002," he explained. Green applauded the establishment of the college but said the government can't stop there. "They put forward the State College as one of their major achievements. A lot of people go to the college but the competition is low. It's a good initiative but it cannot be something left on the surface. We need to ensure it is properly accredited," Green said. In addition, he suggested, there needs to be "a critical, objective review" of the education system to include the removal of politics from education. "We have to (take another) look at universal secondary education, early childhood education, we need to advance that," the former minister recommended. "Whatever we do we have to ensure it serves the needs of a new economy." Petter Saint-Jean could argue that this is what is happening at present. "The story of education in Dominica in the new millennium is one success that all Dominicans can be proud," he said in his statement to parliament. "The transformation of education improves individuals' level of confidence, their outlook, their ability to care for themselves and others; this bodes well for the future of our young nation." Look at the statistics, he would argue, they tell the story. However, there are others like Thomas and Green who adopt the Mark Twain theory of statistics and argue that there's more to the story than the numbers.